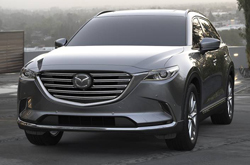 What's New For the 2019 Mazda CX-9? Mazda has added a number of performance improvements as well as technology updates to the CX-9 in the 2019 model year. This includes more standard equipment as well as factory-equipped Apple CarPlay and Android Auto within the infotainment technology realm. They have also retuned the suspension and made both the headliner and floor mats thicker in order to create a quieter sound in the cabin. 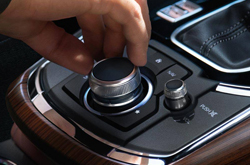 The entry trim level, the CX-9 Sport, offers more features than ever as standard, including three-zone automatic climate control, one-touch front and rear power windows, and rear cross-traffic alerts. The Signature is also a new trim level with rear exterior badging and stunning features that add to the luxuriousness of the SUV. The Mazda CX-9 has a SKYACTIV-G 2.5T 4-cylinder turbo engine with 227 horsepower at 5000 rpm when regular unleaded fuel is used. 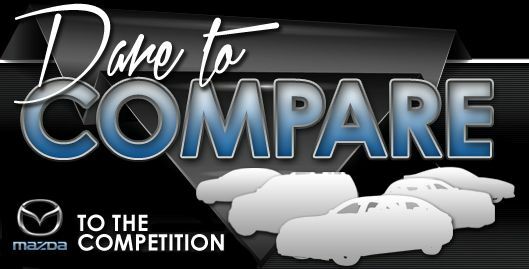 When 93 octane premium unleaded fuel is used, the horsepower increases to 250 at 5000 RPM. Further, the SKYACTIV-VEHICLE DYNAMICS with G-Vectoring Control allows the vehicle to handle nicely. Cornering is a breeze because of the innovative technology, allowing power delivery to shift the vehicle's weight. Mazda continues to go above and beyond with safety features. 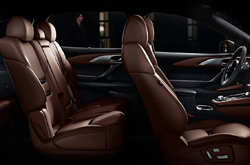 The 2019 CX-9 is no different. 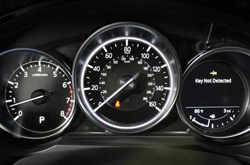 Safety technologies include blind spot monitoring, radar cruise control, smart brake support with collision warning, rear cross traffic alerts, Lane departure warning systems, a lane-keep assist, an adaptive front-lighting system, and more. Additional features include advanced front airbags, three-point seatbelts for all three rows, an anti-lock brake system with electronic brake force distribution, a rearview camera, a tire pressure monitoring system, an engine-immobilizer anti theft system, LATCH child safety seat anchors, and even child safety rear door locks. When you want to see more of what's new with the Mazda CX-9 and put it to the test, visit us at Joe Myers Mazda today! What are you waiting for? Find your CX-9 now!